Here you will learn the game through a series of group lessons and transition to ongoing playing opportunities. By participating in this program, students will be well on their way to becoming better golfers with an appreciation for the history, rules and etiquette of the game. Be sure to check out all the videos on the playlist so you can GET GOLF READY!! TEE IT FORWARD continues to receive national media attention as it encourages golfers to play the golf course at a length best suited to their ability. 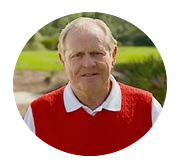 Download the Jack Nicklaus video to include in newsletters and on your facility website to let your golfers know they can TEE IT FORWARD anytime and anywhere. 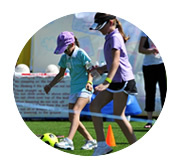 The PGA Sports Academy powered by UnitedHealthcare has been featured at six LPGA Tour events this year in partnership with the LPGA*USGA Girls Golf clinics. 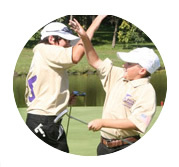 This is a great introduction for youth to experience the PGA Sports Academy and be introduced to golf. PGA Junior League Golf is underway with more than 700 teams participating in more than 120 leagues in 33 states. Teams play regular season matches before convening for city and regional championships leading up to the national championship, Sept. 6-8 at TPC Sugarloaf in Duluth, Ga. To learn more visit pgajrleaguegolf.com. Barbara Blanchar, PGA teaching professional at WingHaven Country Club in O'Fallon, Mo., recently took advantage of the increased promotion of Get Golf Ready. 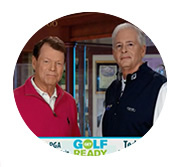 "I posted Get Golf Ready for women following the Senior PGA Championship and had six people register for the program without reaching out to them. They must have seen the Get Golf Ready advertisements during the Senior PGA Championship. It really works!"